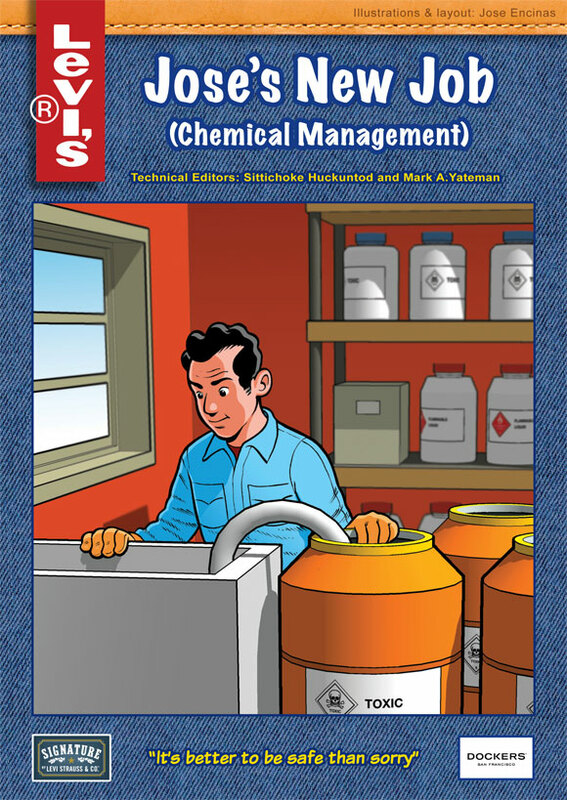 Jose was commissioned by Levis Strauss & Co. to produce three comic books on occupational safety for the Environment, Health and Safety (EHS) department. Levi's uses these materials to help its business partners meet the EHS requirements and decrease the number of accidents at the workplace. Sittichoke Huckuntod and Mark A. Yateman were the technical editors and supervised the production of the comics.